Welcome to clickfred, a full service digital marketing agency, offering web design, web development, marketing services and innovative business solutions to clients that provide immediate and long term value through technology, analytics & the automation of business process management. Clickfred provides digital marketing services and packages that fit all budgets. Subscriptions to our marketing tools, management of a specific marketing service or complete management of all digital marketing services that handle every aspect of a company’s online presence. 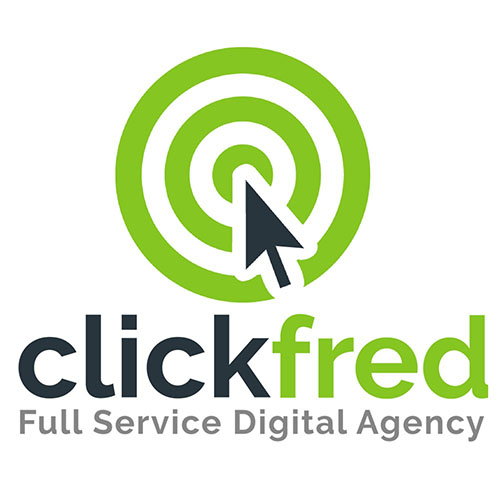 If your business needs effective marketing services at an affordable price, then get clickfred! At clickfred we focus on long-term business relationships that ensure our digital marketing services and strategies produce consistent results. Transparency, simplicity, integrity and innovation are the core values that clickfred was founded on. Providing clients with digital marketing services that have clear deliverables with absolute transparency and delivering results that impact vital business metrics. Complexity is the enemy of execution, simplicity and innovation guarantee maximum efficiency with high returns. Business integrity, a strong reputation of success and proactive solution oriented work ethic has allowed clickfred to stand out from the crowd.